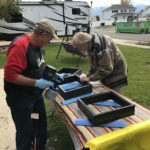 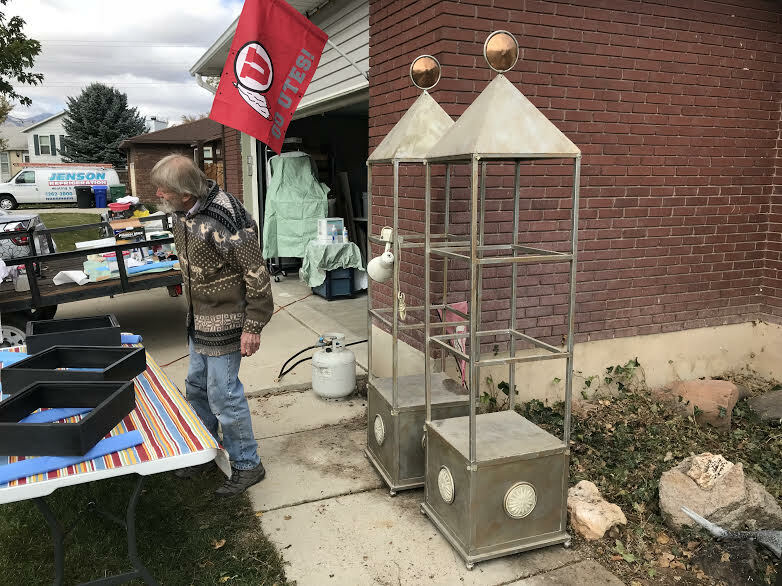 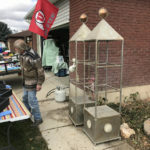 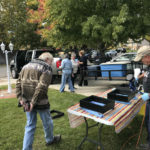 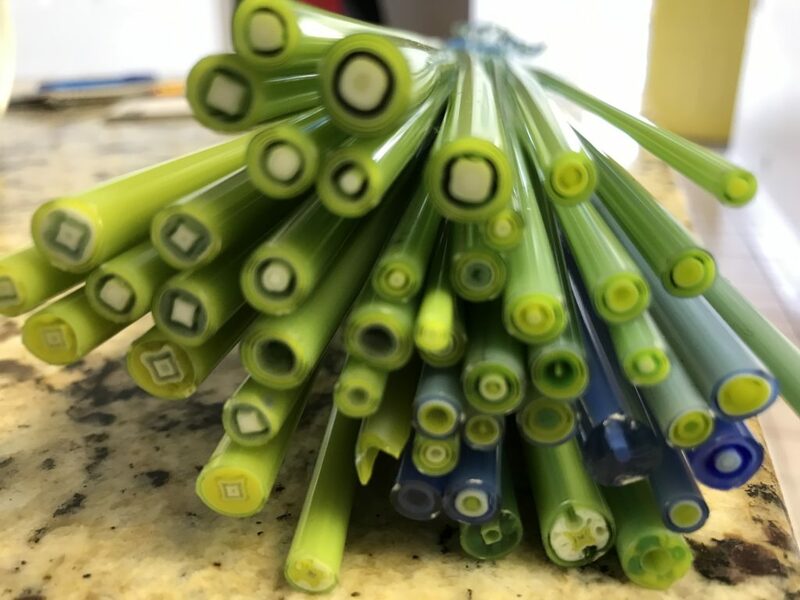 In March 2019, the Glass Art Guild of Utah enjoyed a terrific class given by member artist Wayne Jacobsen on how to create murrine cane. 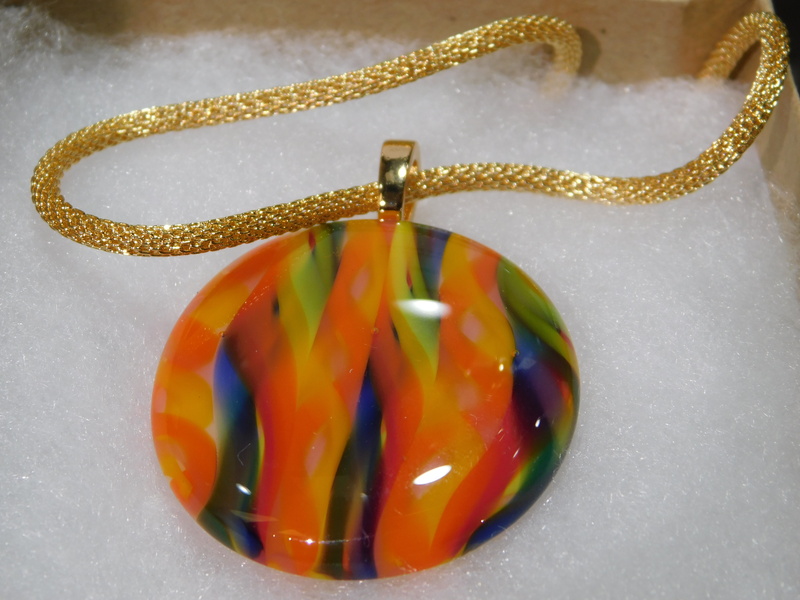 Murrine first appeared in history over 4000 years ago and was popularized by Venetian glasscrafters in the early 16th century. 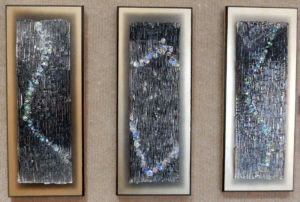 Artists stacked glass in Wayne’s stainless steel pot design, learned about the order in which glass flows through the pot, and then pulled over 100 feet of murrine cane. The group also learned how to create intentional designs in murrine. Additionally, artists got to try out Wayne’s Lazy Chops murrine chopper and got a demo of his electric, programmable murrine chopper. 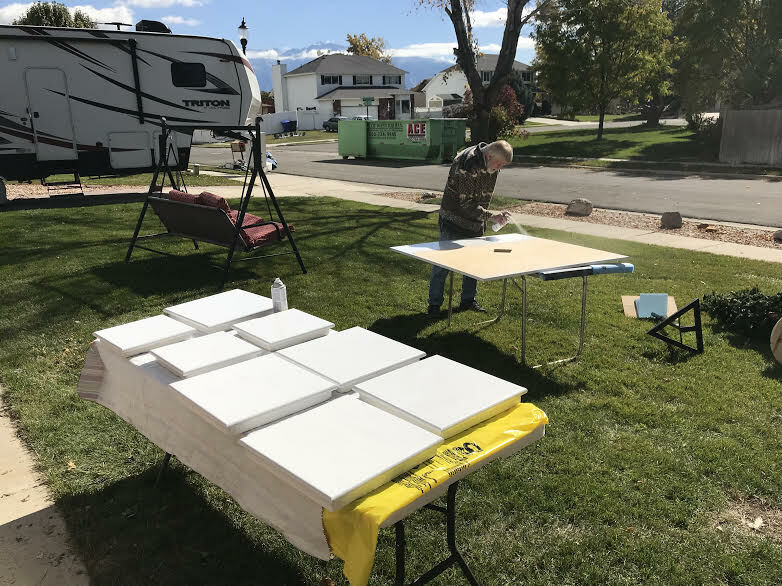 We look forward to seeing how the Guild’s artists will incorporate this technique into their artwork! 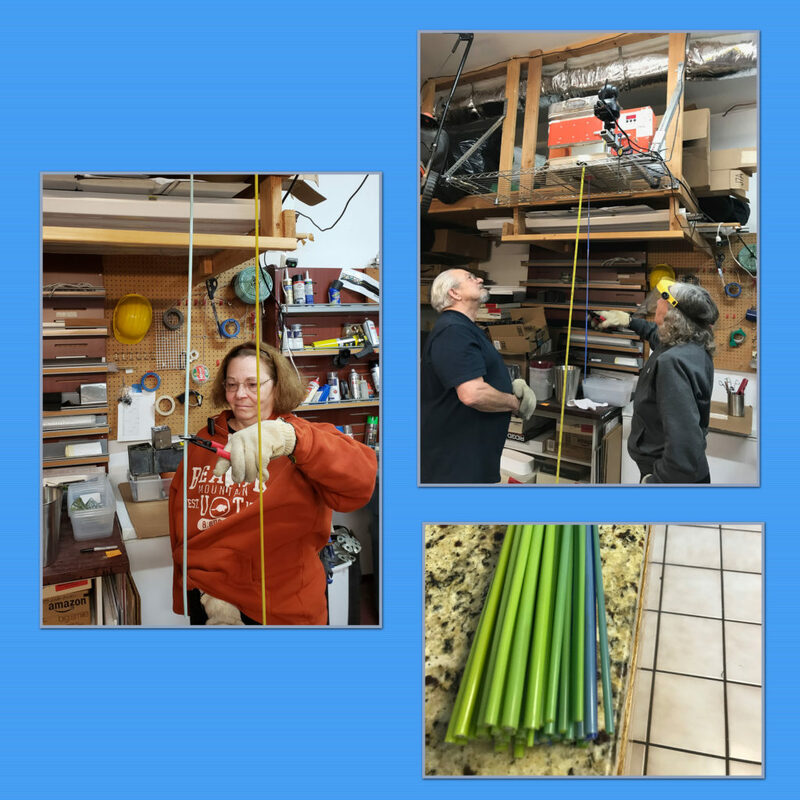 GAGU members enjoyed learning about creating murrine canes in a March 2019 workshop. 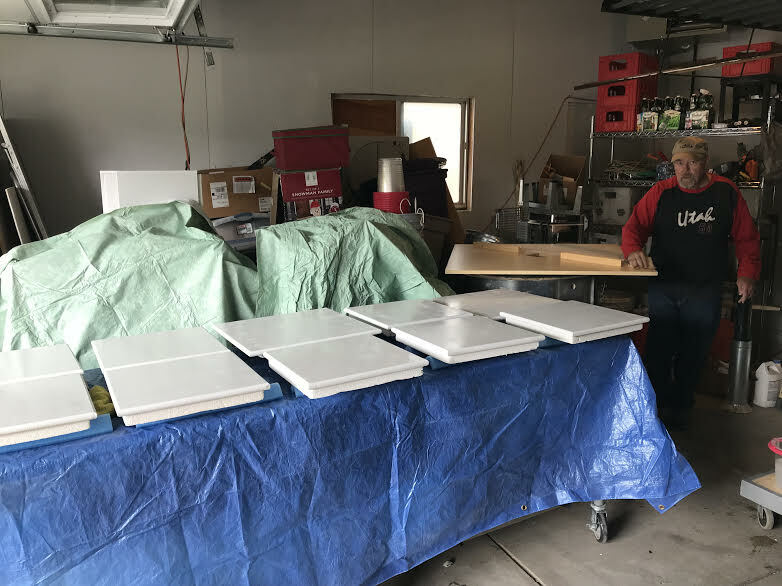 Comments Off on Heating things up at GAGU! 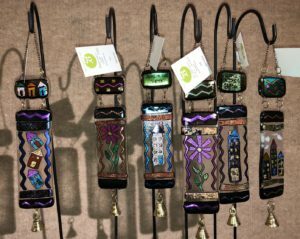 We’ll be returning to Red Butte Garden this fall for our annual Glass in the Garden show and sale, November 3 – December 18, 2018. 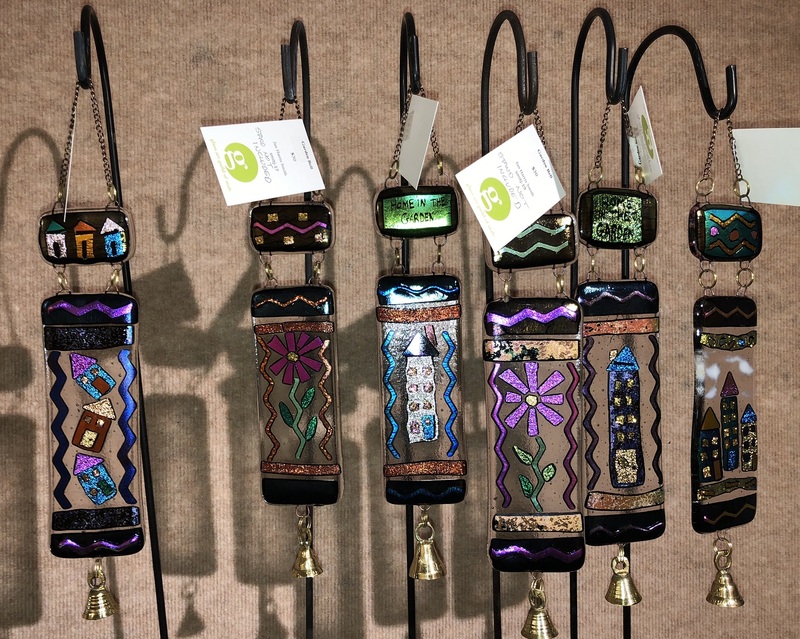 Make sure to include a stop at the Garden during this time for beautiful, one-of-a-kind artisan gifts. 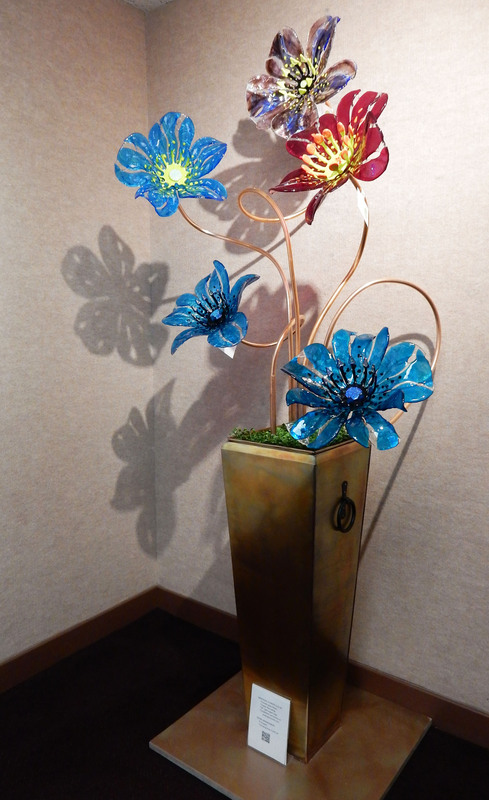 The garden is open daily. Most days we’ll have artists on-hand to talk about our art and assist you with purchases. 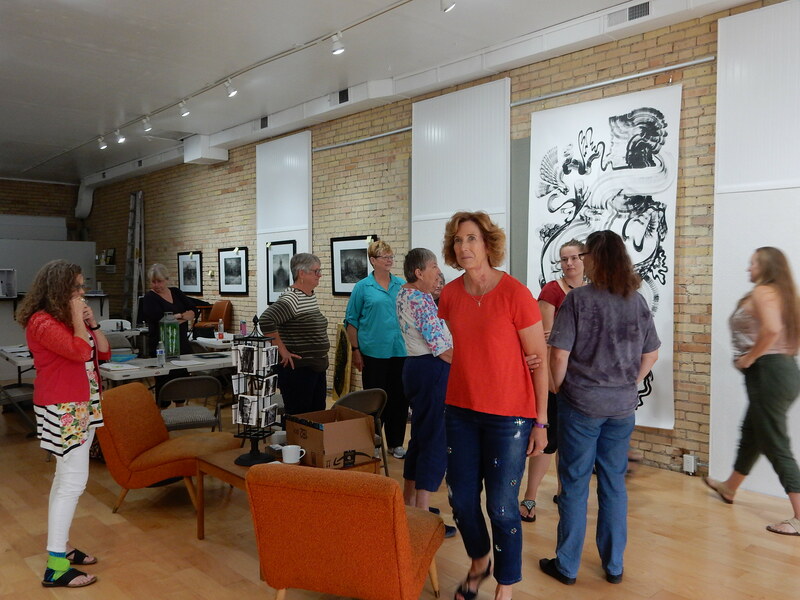 In addition to these artists, the Guild would like to recognize its other members who participated in the show: Sharon Bresin, Barbara Busche, Kerry Collett, Ruth Ann Garner, Linda Kalmar, Suzanne Larson, Jodi McRaney-Rusho, Kathi Olsen, Joe Perretto, Amber Scheid, Takara Scheid, Kathy Watt, and Mary Young. 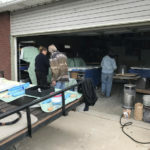 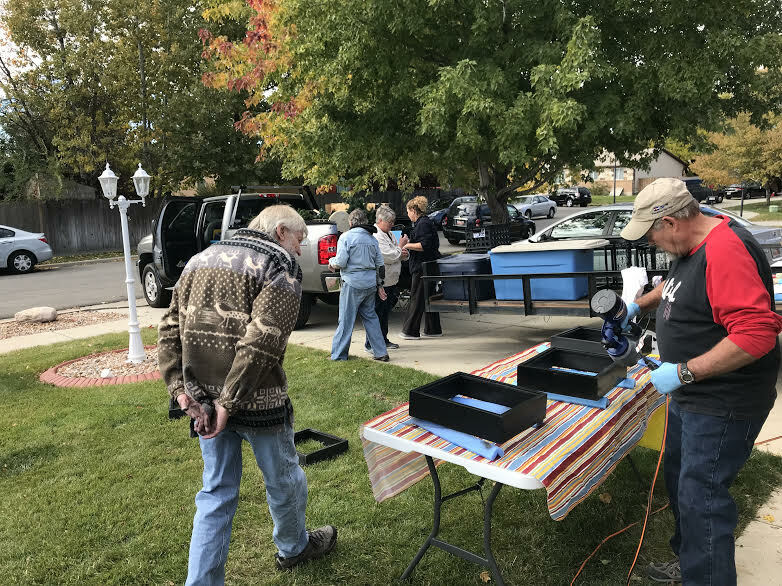 The Guild would like to thank Kandace Steadman (Finch Lane Gallery), Dan Cummings (Spectrum Glass Studio), and David Estes (David Estes Studio Art Gallery) for graciously volunteering their time to judge the event. 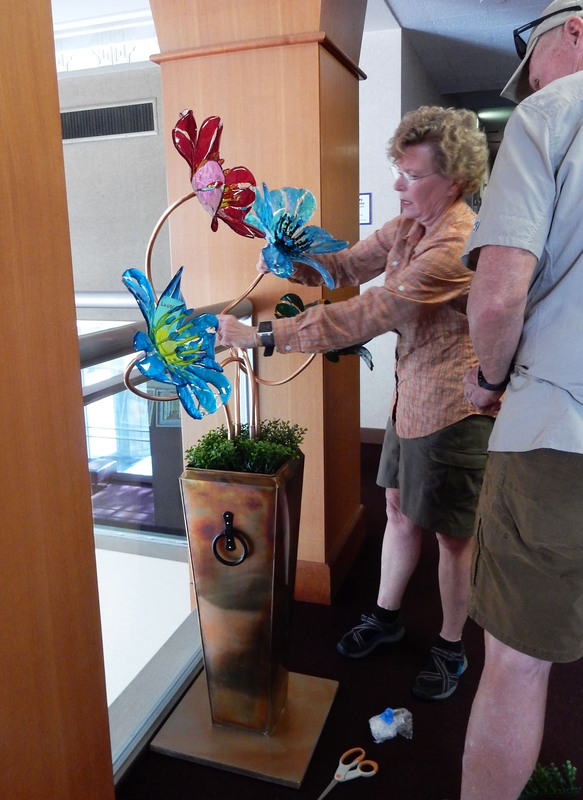 Connie Lundberg adds the finishing touches to a display of her fused glass flowers. 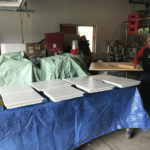 Our artists have been hard at work the past few months preparing for the Guild’s Annual Spring show. This year, the show will be held at the Pioneer Theatre’s Loge Gallery in Salt Lake City. 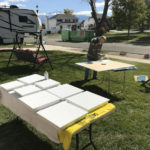 Artists have prepared a variety of wall and 3-D art that will be on display during the run of Mama Mia, May 11 through 26. 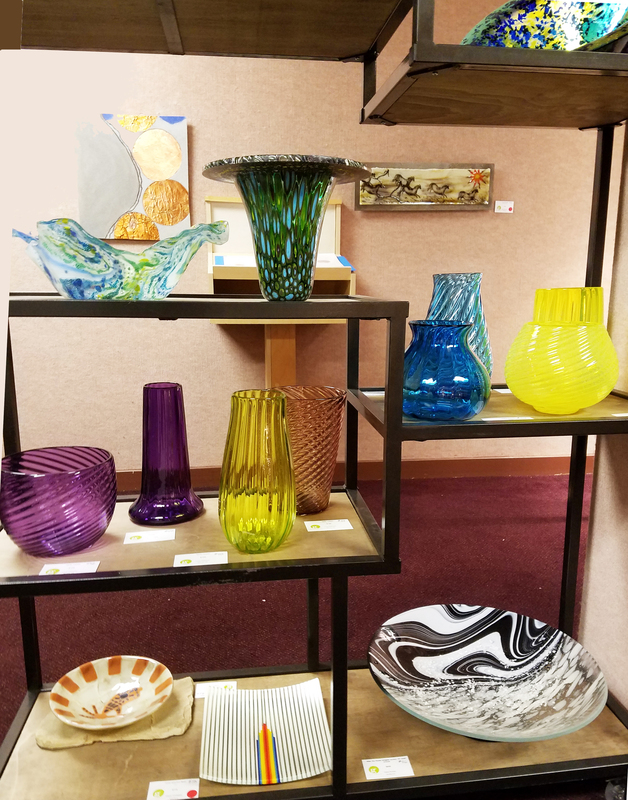 All artwork is available for sale, and artists will be on-hand during each performance to assist with sales, answer questions, and talk about the medium they love! 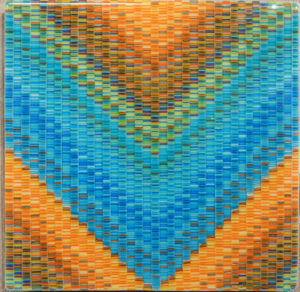 Guild artist Lori Scharf will be participating in this year’s annual Art and Soup fundraising event. 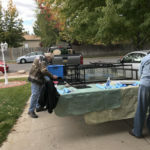 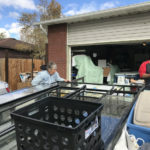 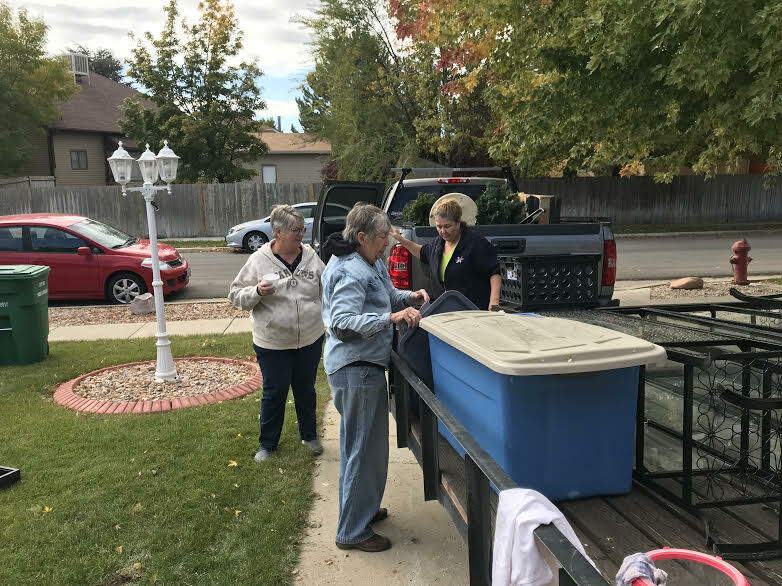 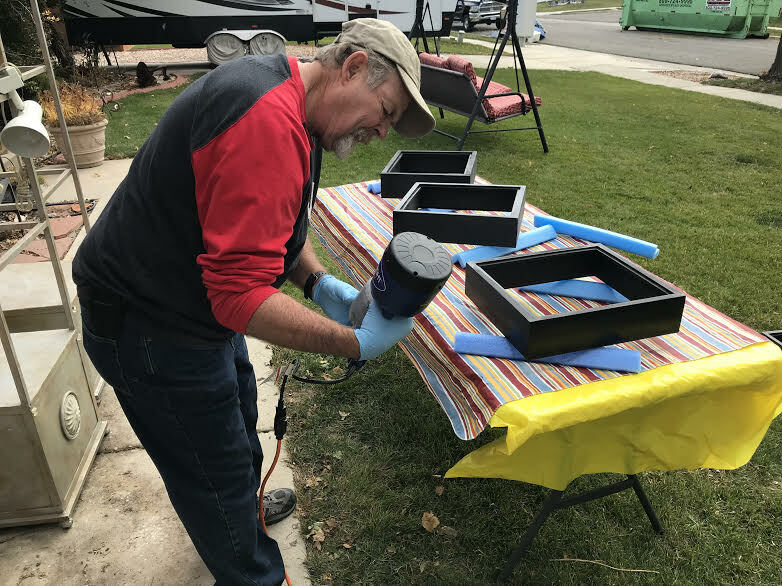 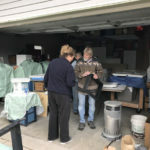 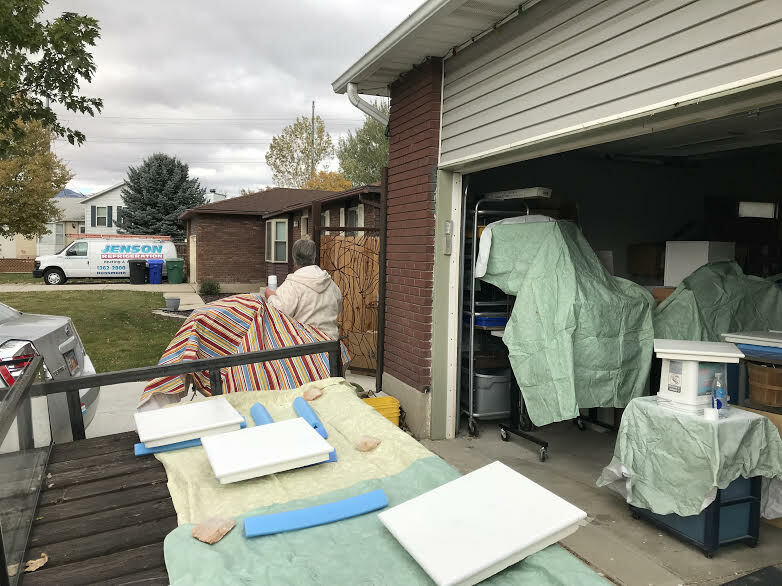 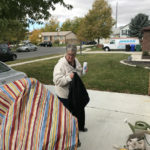 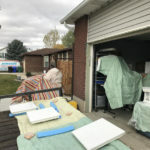 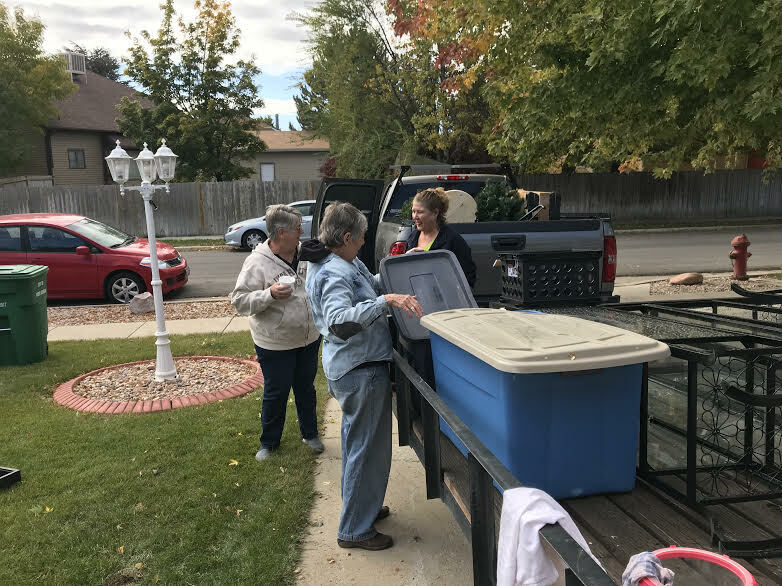 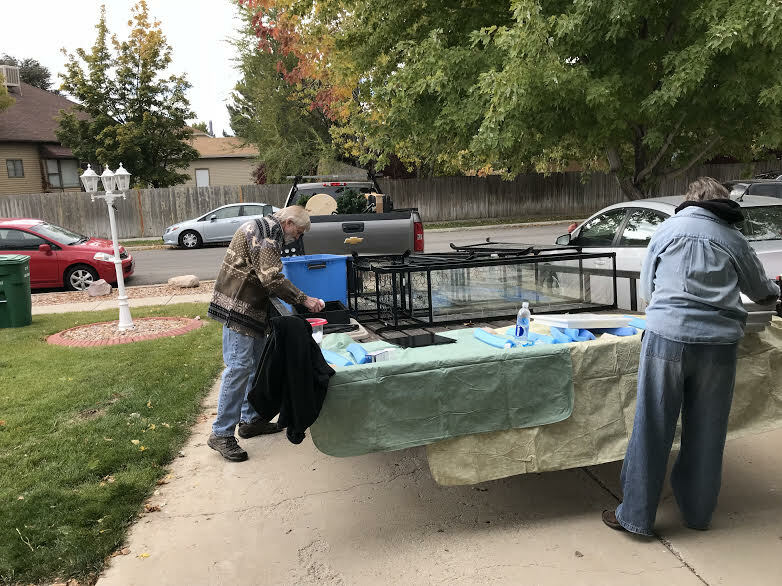 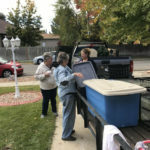 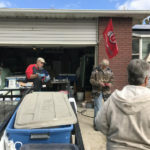 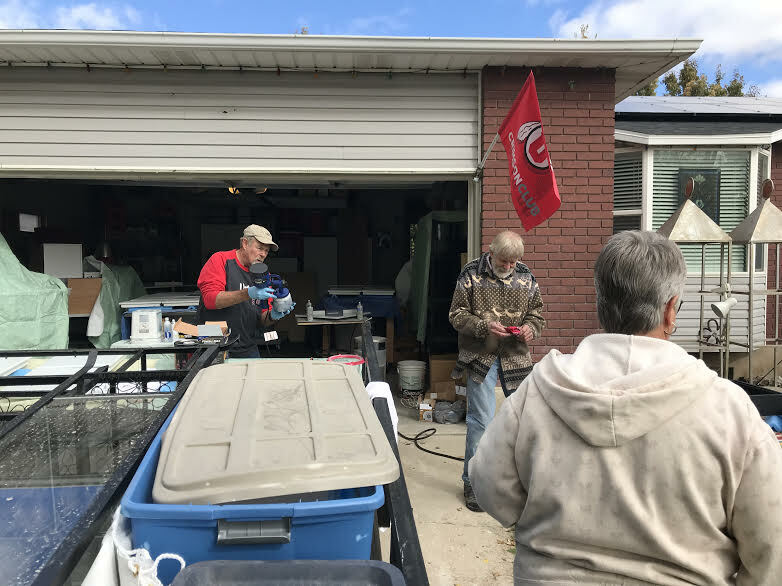 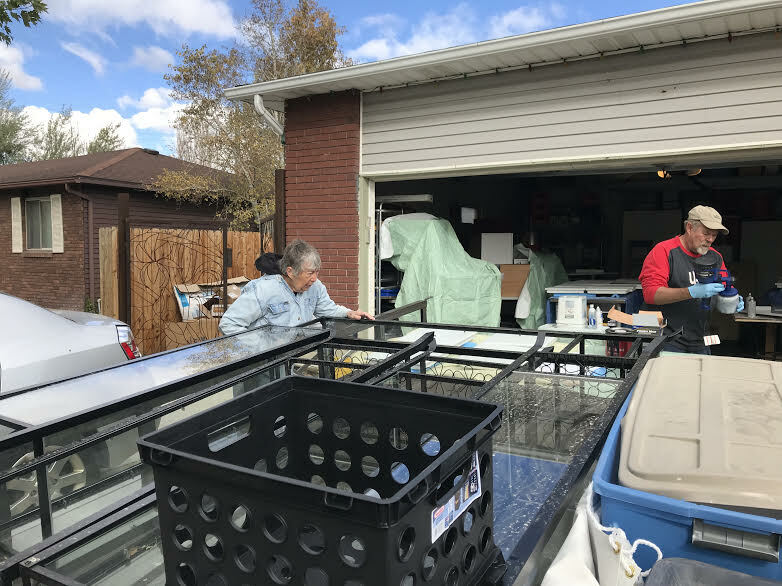 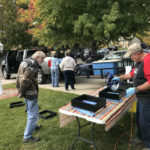 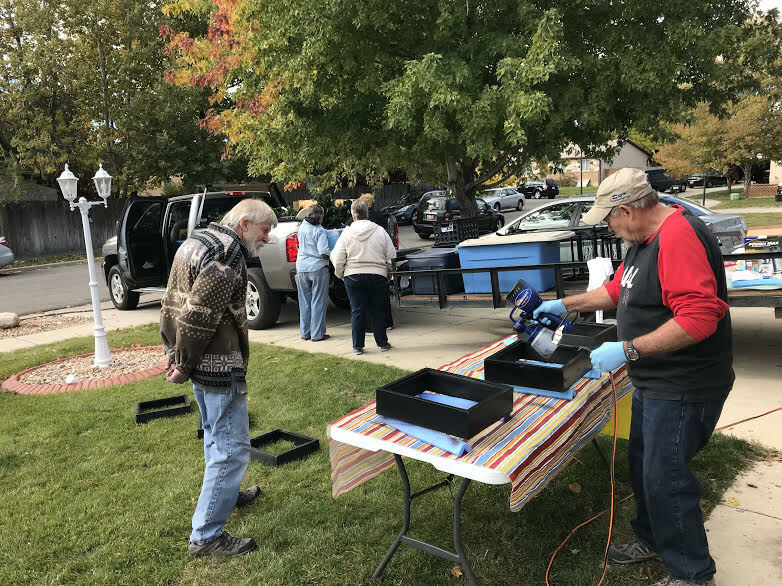 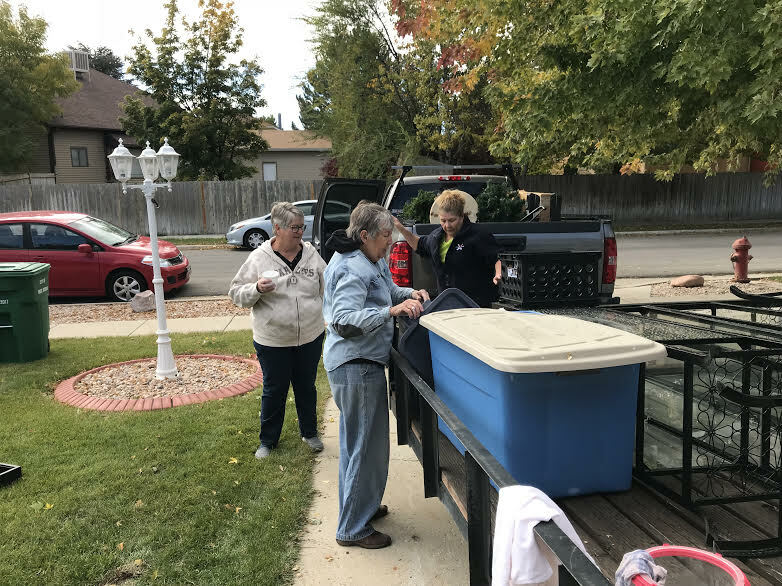 This local event, now in its 30th year, supports the CNS Charitable Care Program which provides charitable home health and hospice care to thousands of uninsured and underinsured low-income Utahns across the state. 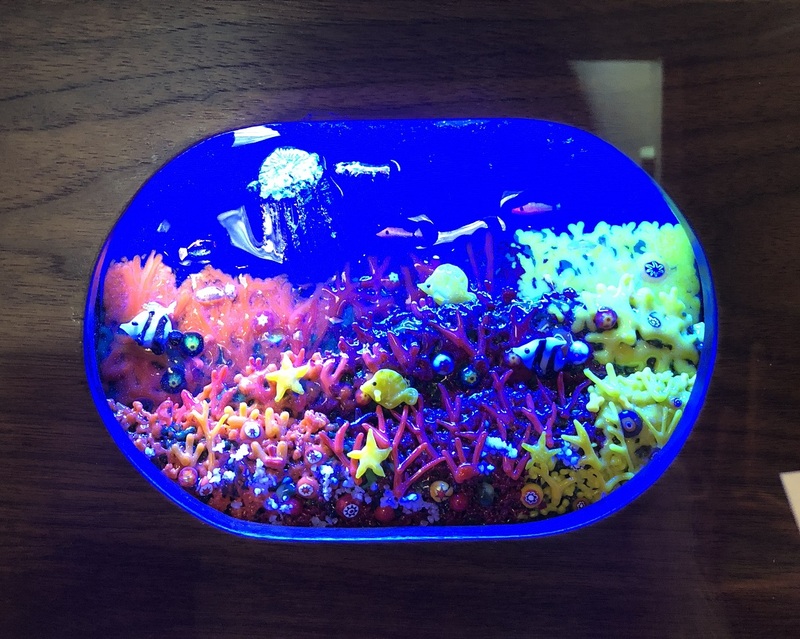 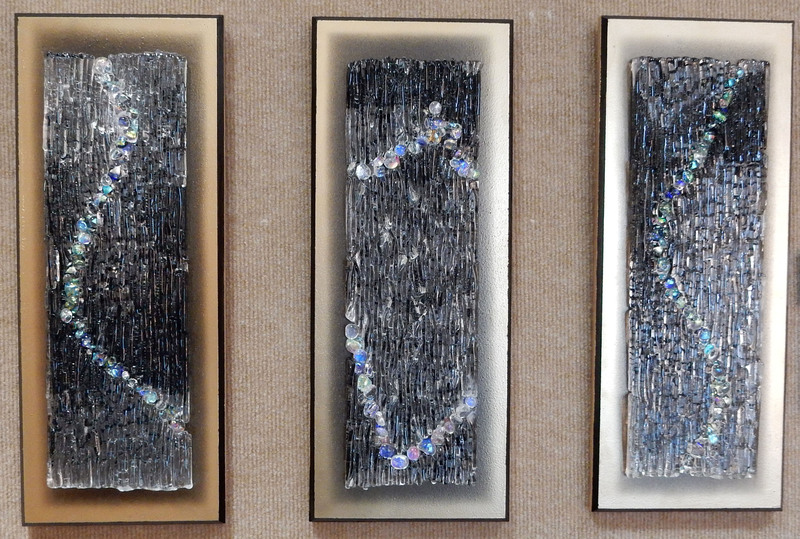 To find out more about this event, visit the Community Nursing Services’ web site at https://www.cns-cares.org/art-soup, and to find out more about Lori, visit her artist’s page at http://www.glassartguild.org/?page_id=193. 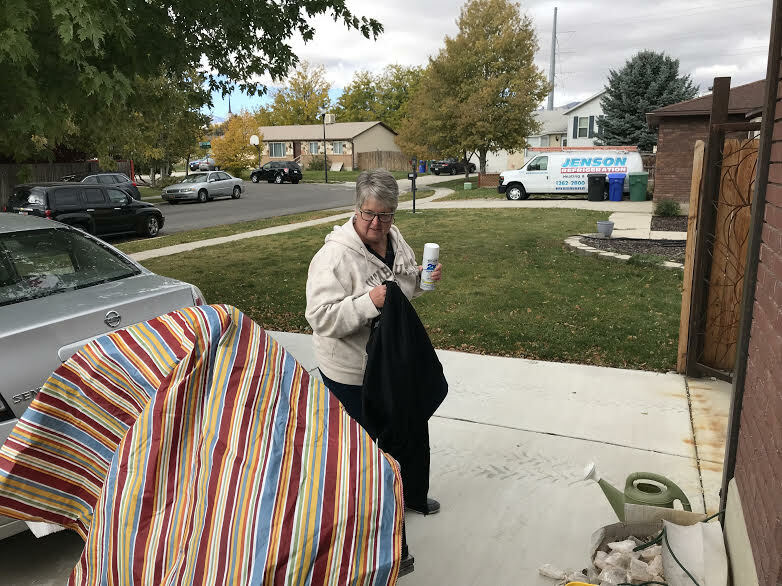 Thank you, Lori, for supporting this vital fund-raising event in our community! 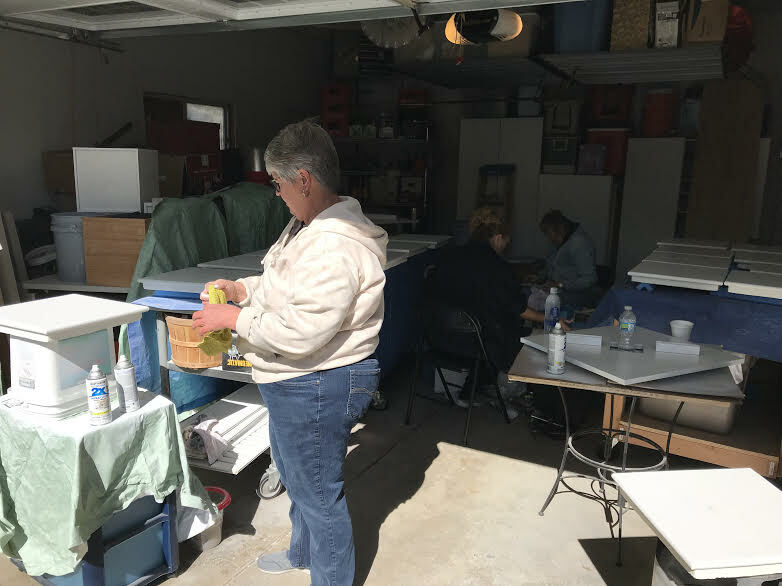 Guild Members Learn New Glass Painting Techniques! 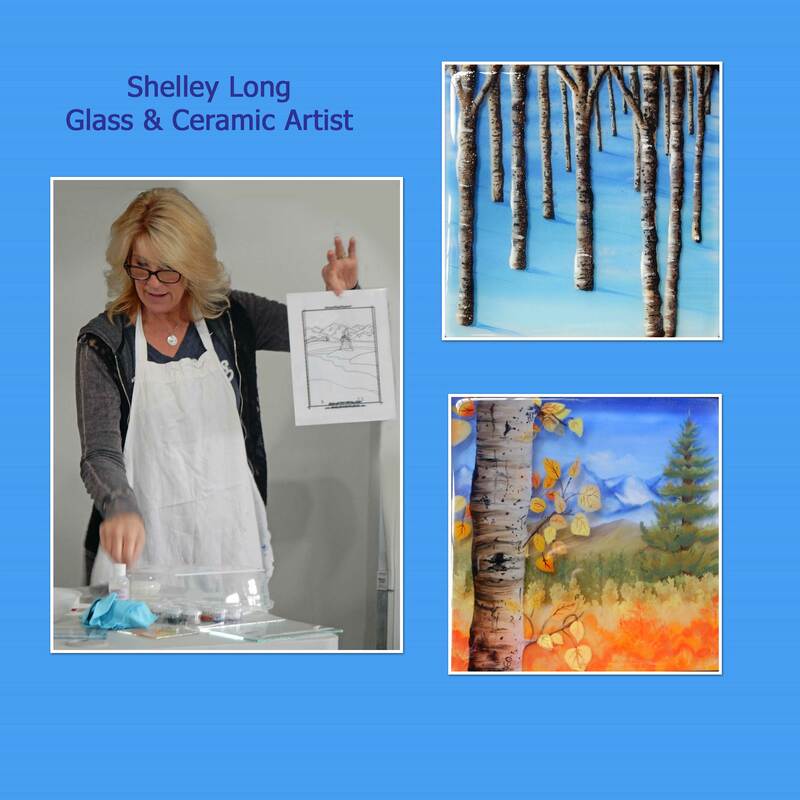 Teacher and artist Shelley Long, along with some of her amazing work! 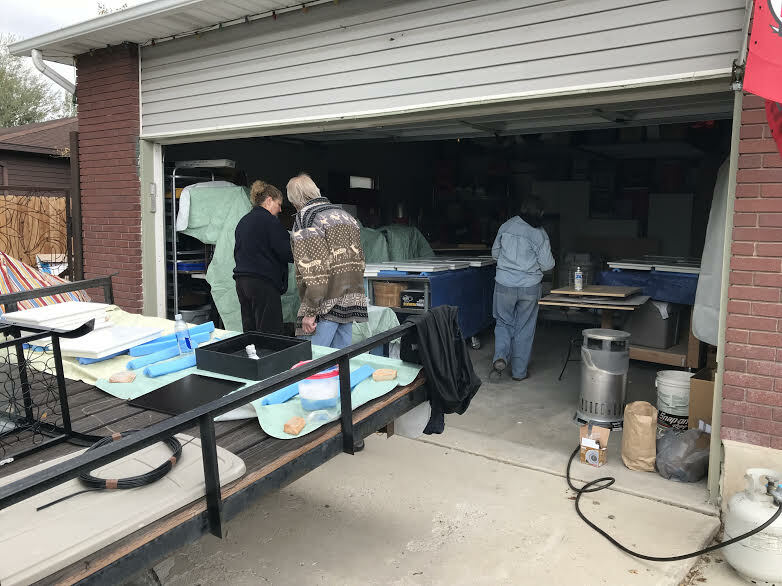 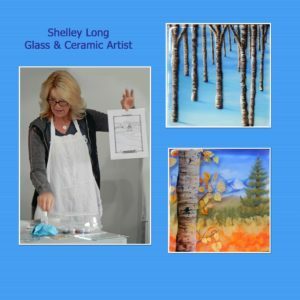 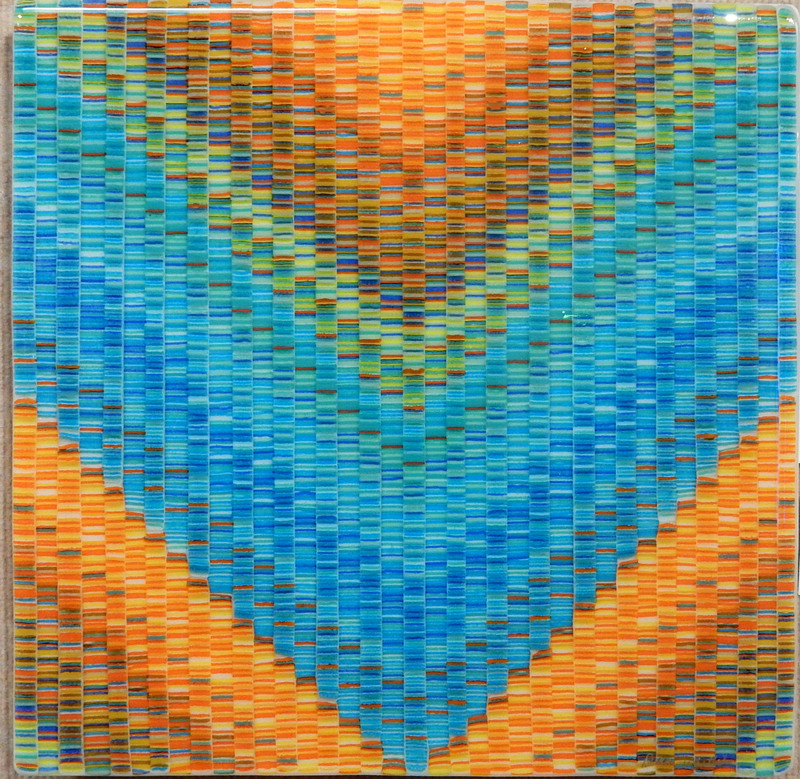 In January, the Glass Art Guild of Utah hosted glass and ceramic artist Shelley Long for a three-day fused glass painting class. 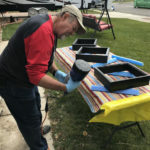 Techniques included various painting methods, working in layers, and firing thicker slabs. 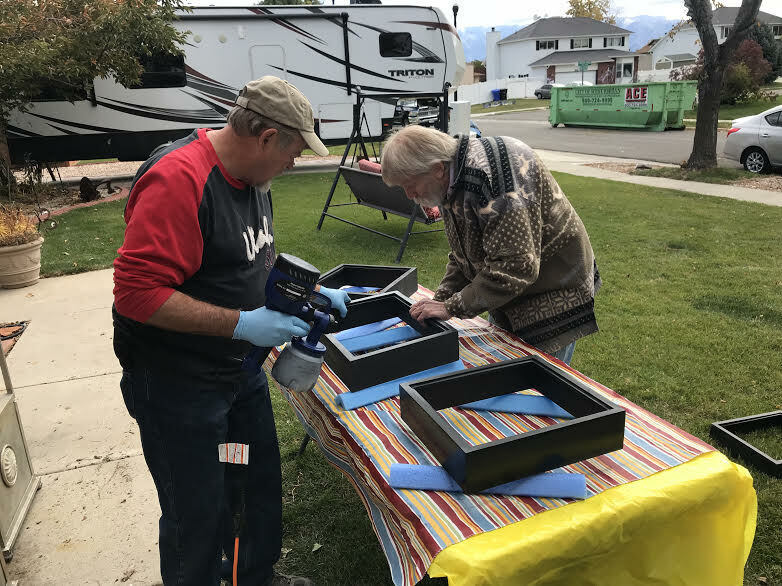 Nine members of the Guild took advantage of this great opportunity to learn new skills. Check out guild member Dana Worley’s blog post about the class for a summary, as well as links to some great tutorials. 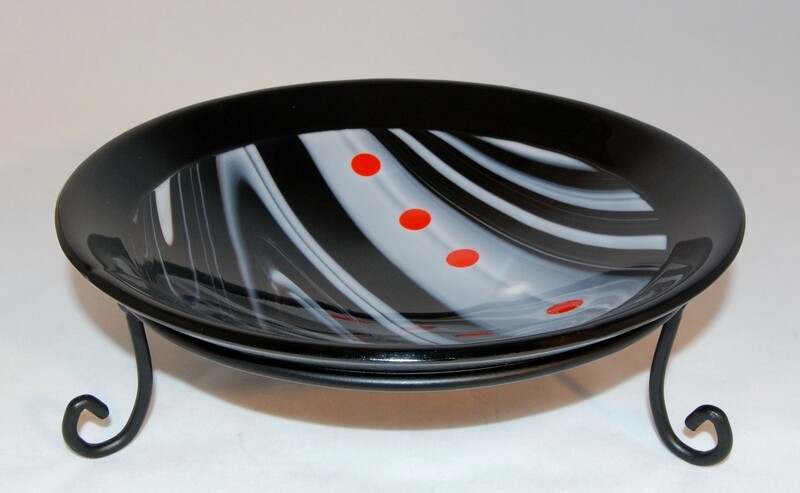 Stay tuned for some fabulous new work as our glass artists leverage the techniques they learned! 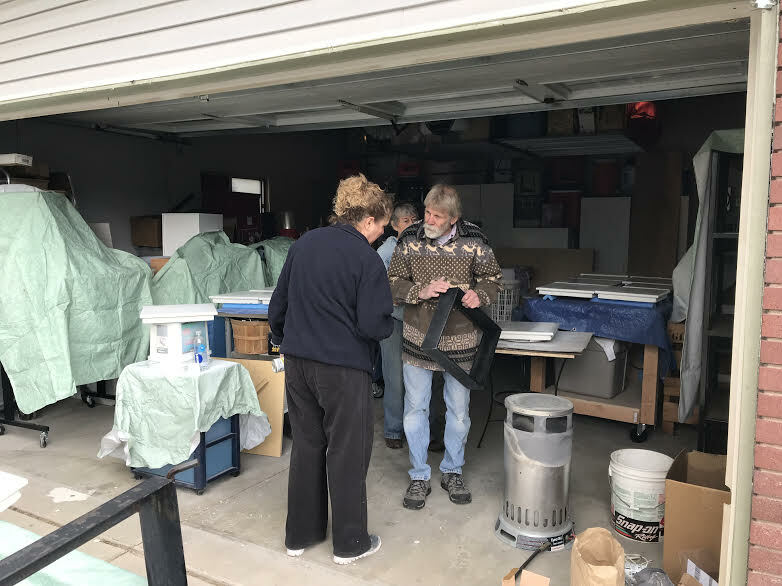 The Guild would like to thank Shelley for her great teaching and inspiration, guild member Kathy Watt for hosting the event in her home studio, and all the artists who were able to join us for this great long-weekend event. 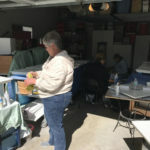 Comments Off on Guild Members Learn New Glass Painting Techniques!